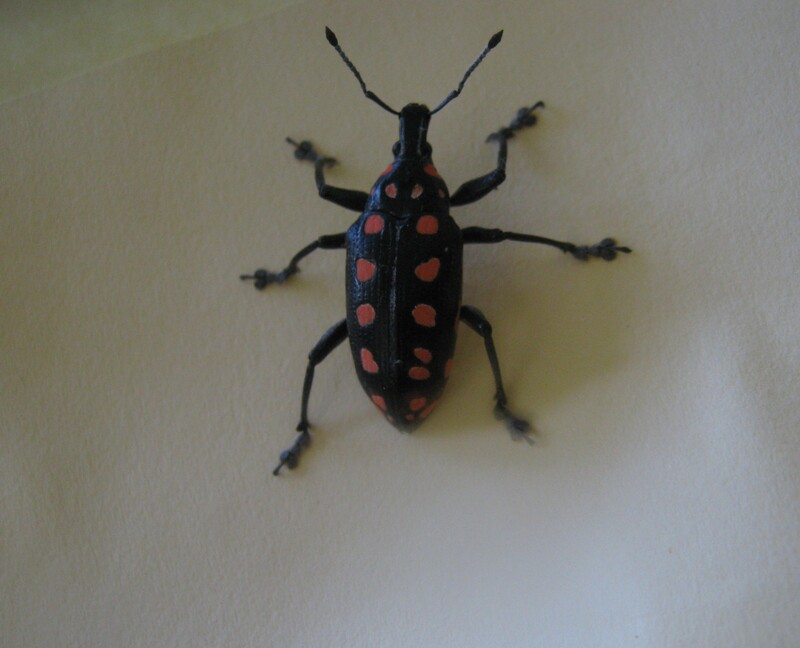 I found a red polka dot beetle in our home, I’ve never seen one like it before. 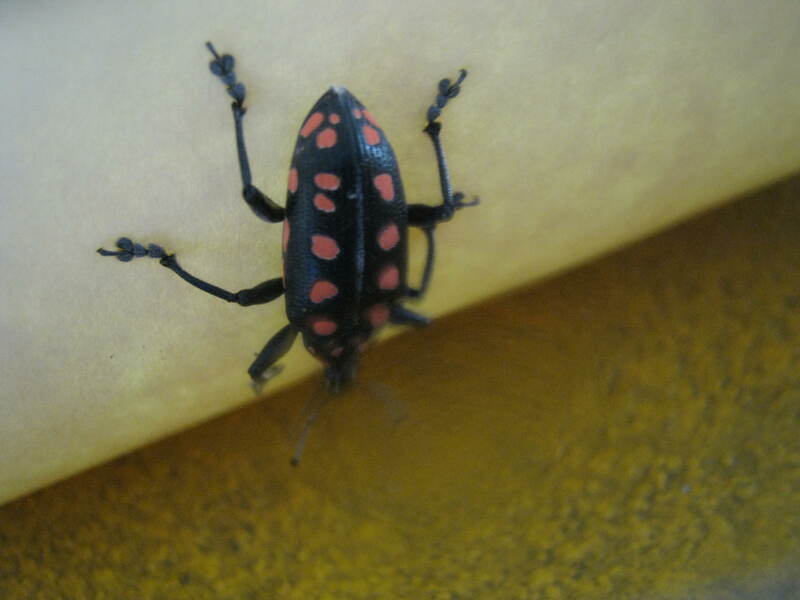 At first I thought it was a citrus root weevil, but there is nothing on the Internet that suggests that it is. 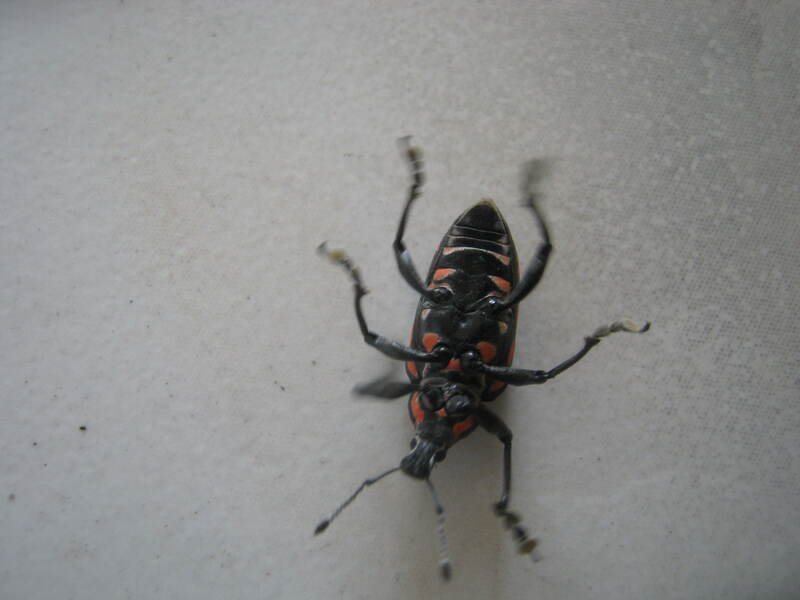 I’ve searched high and low for information about this bug, and other sources that I’ve contacted are clueless as to what it is. Its identity is a mystery. Update June 2018. 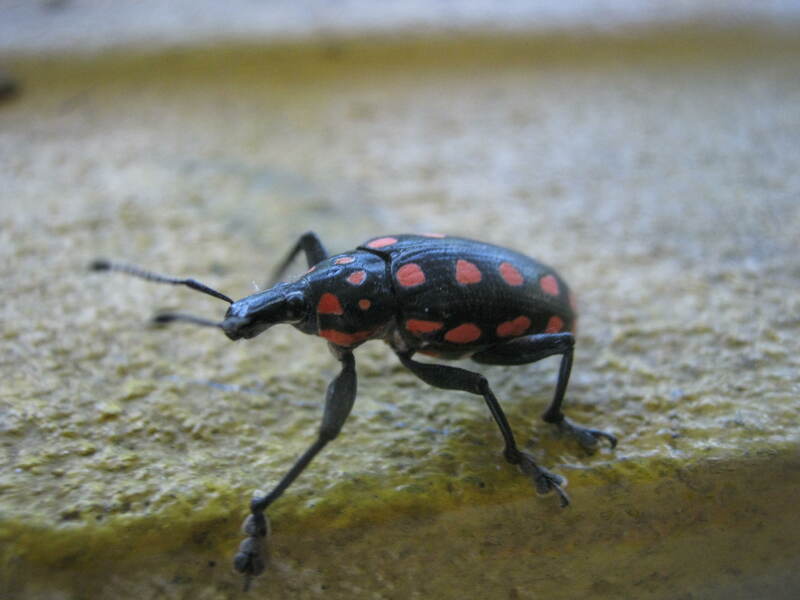 One source has stated that this bug is indeed a weevil (Curculionoidea), and while it is a striking specimen, it remains unnamed. 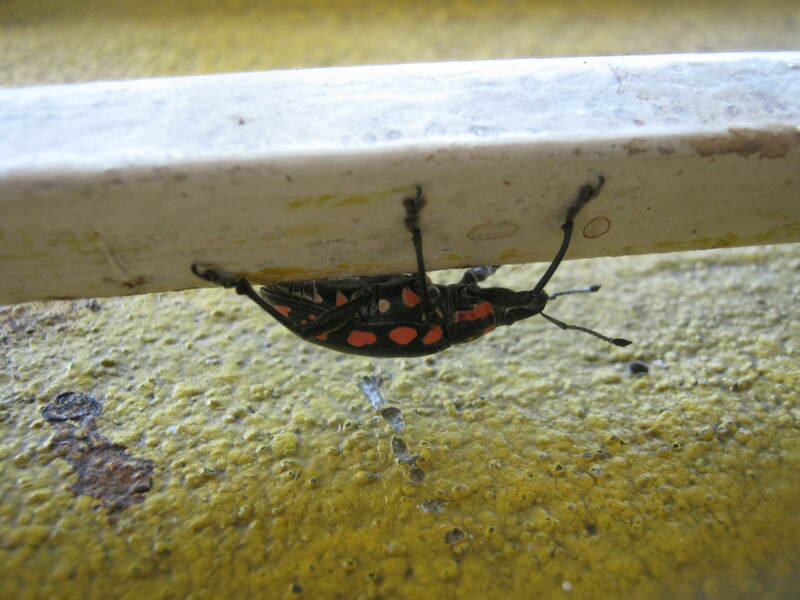 If you know more about this black bug with red spots, I’d be glad if you share the information with me. After taking these photos, it was released outdoors and into freedom. 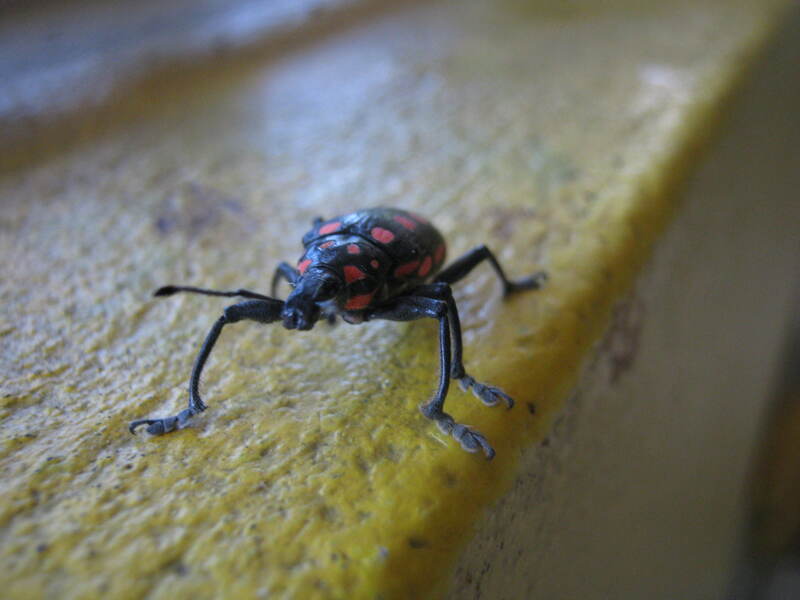 However, I seriously think this bug will have a lonely existence for a while, as there are none other like it around. Did you ever figure this out? 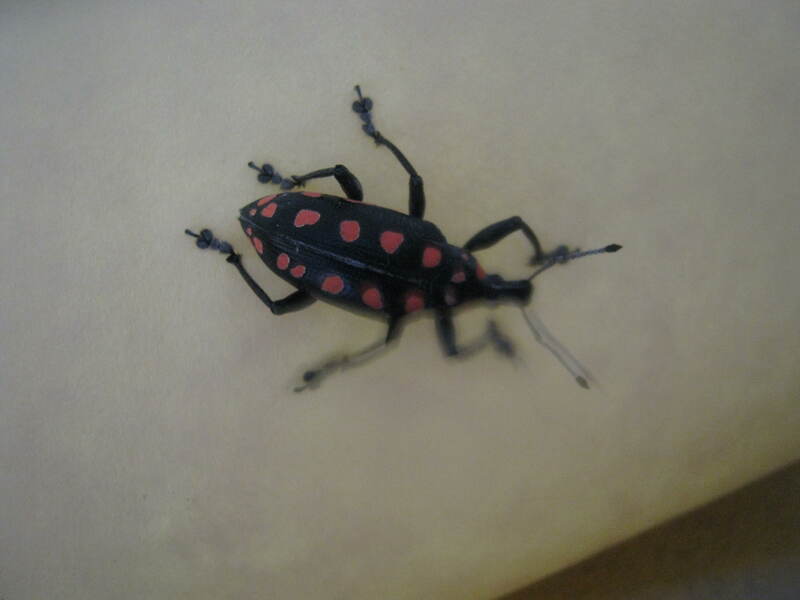 I have very similar bugs, but with white spots, that I can’t identify. 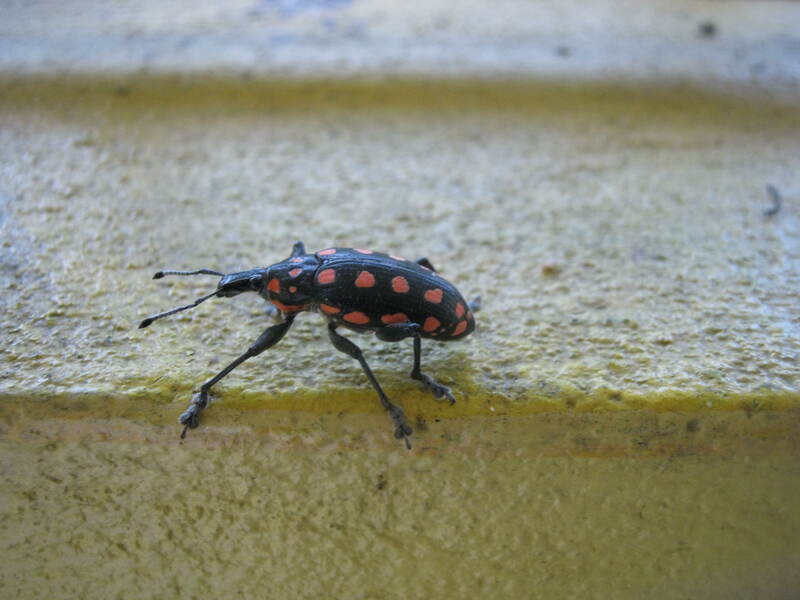 The only thing I have found out is that it is indeed a weevil (Curculionoidea), but nameless.